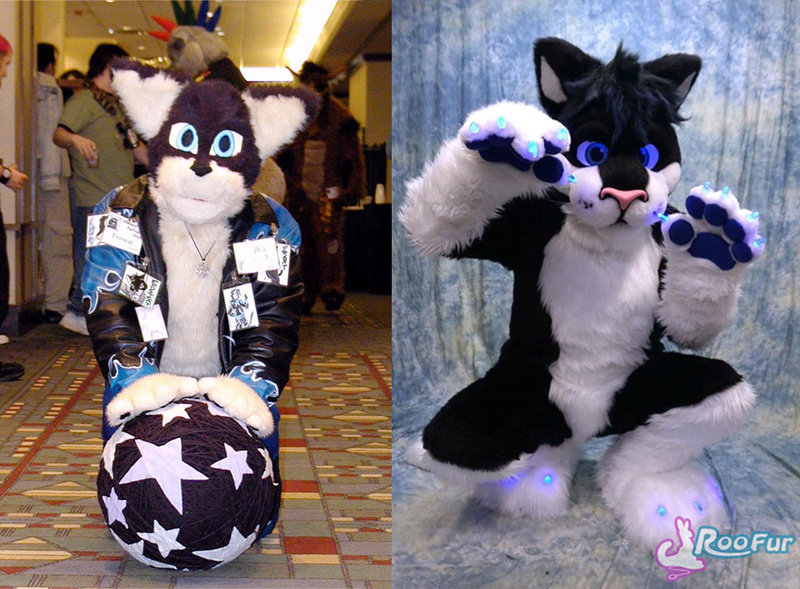 On the left was my very first fursuit created by a local fur back in MFF '05 where it was first debuted. After a year or two of wear and tear he was gone, but not after I've made him appear at a long-yet-first time con event. Oooh, those glowing claws look great (as does the rest of the suit)~!